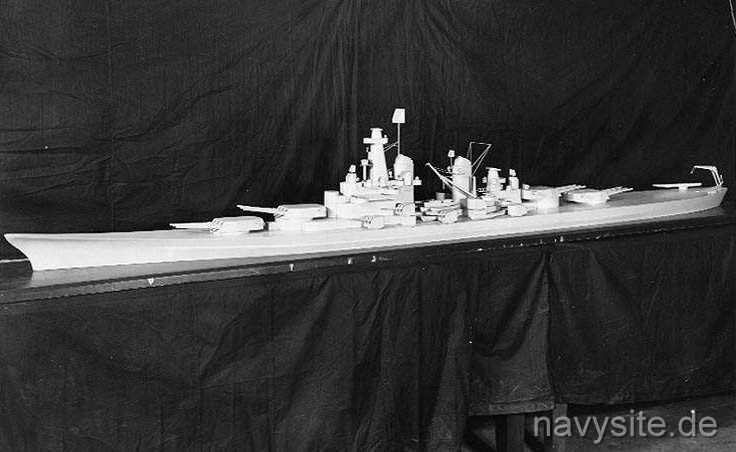 The five battleships of the MONTANA - class, authorized under the 1940 "Two Ocean Navy" building program and funded in Fiscal Year 1941, were the last of their kind ordered by the U.S. Navy. With an intended standard displacement of 60,500 tons, they were nearly a third larger than the preceding IOWA - class, four of which were the final battleships actually completed by the United States. The MONTANAs were intended to carry twelve 16"/50 guns, three more than the earlier class. Protection against underwater weapons and shellfire was also greatly enhanced. They would have been the only new World War II era U.S. battleships to be adequately armored against guns of the same power as their own. To achieve these advances, the MONTANA - class was designed for a slower maximum speed than the very fast IOWAs and had a beam too wide to pass through the existing Panama Canal locks. 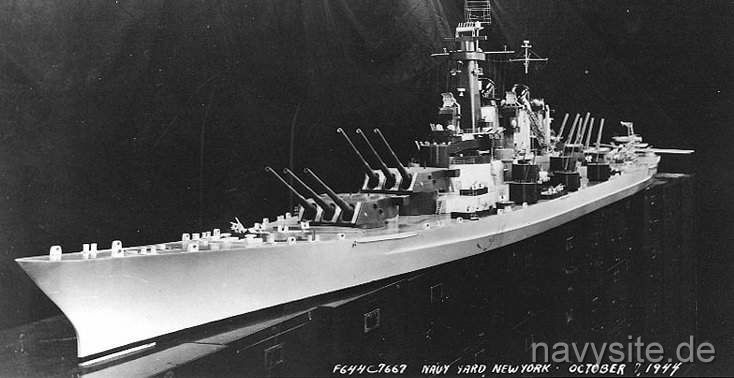 Completion of the MONTANA - class would have given the late 1940s U.S. Navy a total of seventeen new battleships, a considerable advantage over any other nation, or probable combination of nations. 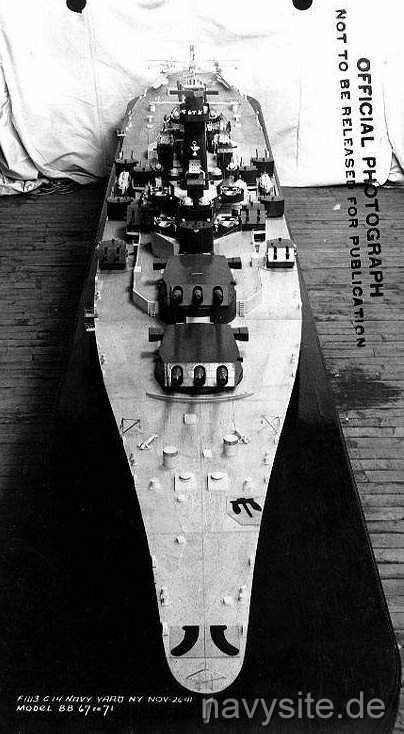 The MONTANAs also would have been the only American ships to come close to equalling the massive Japanese YAMATO. 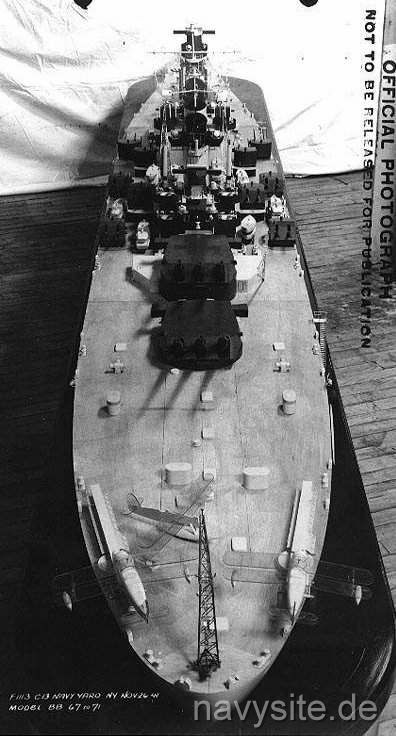 However, World War II's urgent requirements for more aircraft carriers, amphibious and anti-submarine vessels resulted in suspension of the MONTANAs in May 1942, before any of their keels had been laid. In July 1943, when it was clear that the battleship was no longer the dominant element of sea power, their construction was cancelled. Back to Battleship List. Back to Ships List. Back to Selection Page. Back to 1st Page.